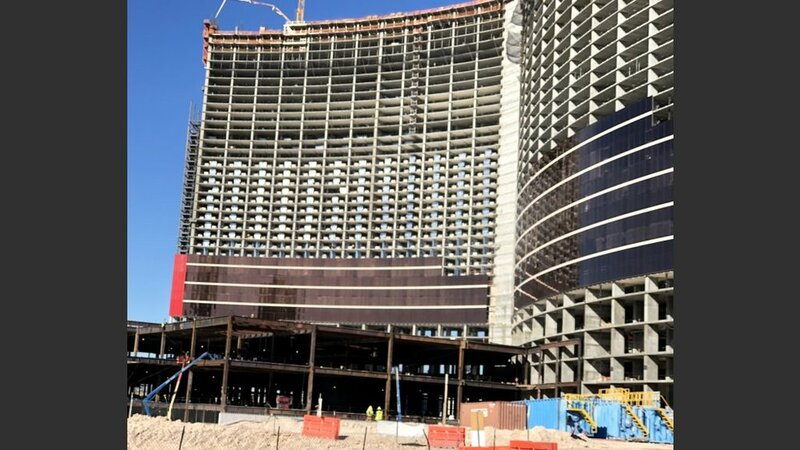 The desert tan color scheme that’s going up on Resorts World bears a close resemblance to the exterior color scheme Wynn Las Vegas and Encore. The exterior color scheme on Resorts World, which is going up near Wynn Las Vegas and Encore, has eyebrows raising. 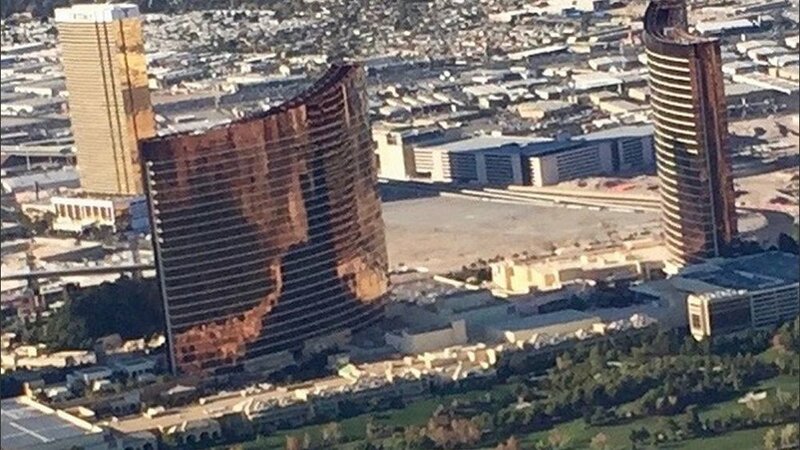 The desert tan panels appear to be a copycat look of the Wynn properties. We hear it’s a hot topic of conversation among Wynn executives. Black and red colors can also be seen on the main tower, which appears to be nearing the 40-floor level. Owned by Genting Group, $4 billion Asian-theme project is set to open around New Year’s 2020. It is rising on the former site of the Stardust Hotel and Casino. Boyd Gaming intended to build Echelon Place on the site, but pulled the plug in 2008, ahead of the Great Depression, and sold the property. With more than 3,000 rooms, Resorts World will be the largest hotel to open on the Strip since the Cosmopolitan opened its doors Dec. 15, 2010.